The Bose QC35 II shows why the company is so popular amongst travelers with class-leading noise cancellation and balanced sound. They may not be the most detailed or exciting-sounding headphones but they will sound great to most listeners. The addition of Google Assistant is a nice addition but not a must-have. With Google Assistant built in, the Bose Quiet Comfort 35 Over-Ear Wireless Headphones lets you attend to calls, receive text messages, play tracks, and more, without having to reach for your device. Using its Acoustic Noise Cancelling technology, the Bose Quiet Comfort 35 blocks out ambient sound so you can keep your focus on the music even in clamorous areas like subways and city streets. Made from impact-resistant materials, corrosion-resistant stainless-steel, and glass-filled nylon, the Bose Quiet Comfort 35 Wireless Headphones are tough enough to withstand the rigours of frequent use. The Bose QuietComfort 35 II Headphones was added to the Head Phones category in December 2018. 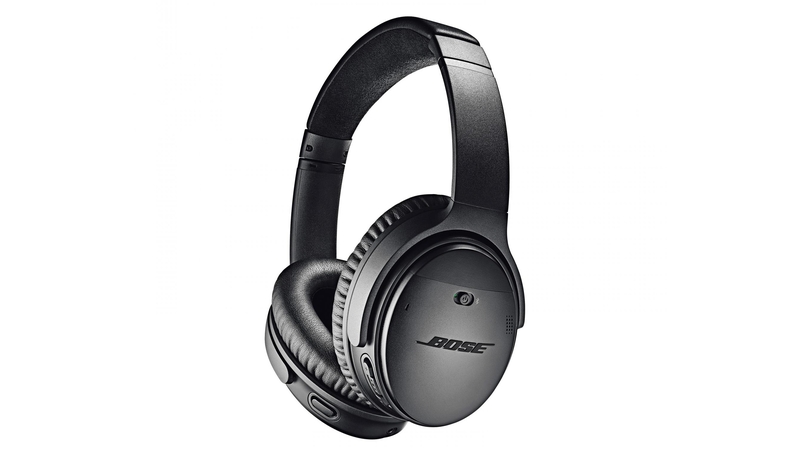 The lowest price GetPrice has found for the Bose QuietComfort 35 II Headphones in Australia is $394.00 from Amazon AU. Other merchants who stock it are Amazon AU, Wireless 1, MobileCiti Online, Allphones Online, Kogan, think of us, Video Pro, Microsoft Store.